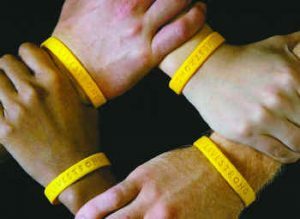 LIVESTRONG at the YMCA is a FREE, twelve-week, small group program designed for adult cancer survivors. Our goal is to help participants build muscle mass and muscle strength, increase flexibility and endurance and improve functional ability. Additional goals include reducing the severity of therapy side effects, preventing unwanted weight changes and improving energy levels and self-esteem. A final goal of the program is to assist participants in developing their own physical fitness program so they can continue to practice a healthy lifestyle, not only as part of their recovery, but as a way of life.